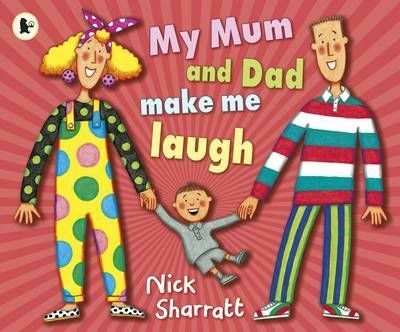 In this firm family favourite from Nick Sharatt, the award-winning illustrator of the Jacqueline Wilson books, mum is crazy about spots - spotty clothes, spotty wallpaper, spotty games like dominoes. Dad, on the other hand, loves stripes - stripy suits and stripy ties, stripy humbug sweets. No wonder they make their son laugh! Mind you, they think that he's funny in his grey patternless clothes. When they go to the safari park, Mum goes wild about the big cats, while Dad enthuses over the zebras. But what animal will their son like?